To render out a QuickTime movie with transparency, you need to set the Depth to Millions of Colours +. 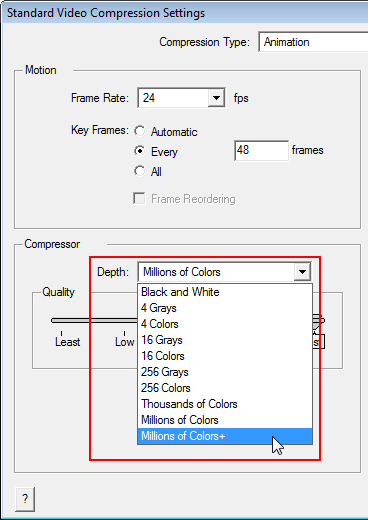 ‣ In the Standard Video Compression Settings dialog box, select Millions of Coulours from the Depth drop-down menu. Refer to Exporting a QuickTime Movie to learn how to access the Standard Video Compression Settings dialog box.